Most home owners pick carpeting that looks and feels good in the showroom – but just because it makes a good first impression doesn’t necessarily mean that it will last long. Key decisions about fiber and style must be made to find the right carpeting for you, and there are many trade-offs to consider, including price, appearance and longevity. Decision 1: Fiber. Nothing affects carpeting’s longevity more than the material. While a well-chosen, well-cared-for carpet can last 10 to 15 years or longer, a poorly chosen or poorly treated carpet can significantly degrade in less than five years. Nylon carpeting has a pleasant feel, is relatively durable, holds its color well, is resilient under the weight of furniture and is resistant to mildew and mold. It is somewhat stain-prone, but this risk can be minimized by making sure that it has an effective stain-blocking treatment. Nylon carpeting costs $8 to $30 or so per square yard. Olefin, also known as polypropylene, lacks the soft, luxurious feel that many home owners desire, but it’s extremely strong, stain-resistant, colorfast and moisture and mildew resistant. Olefin is an appropriate choice for high-traffic areas and areas that are somewhat exposed to the elements. Olefin typically costs $8 to $25 per square yard. Polyester carpeting is very soft, thick and luxurious – more so than similarly priced nylon carpeting – and retains its color well. Sometimes it is made from recycled plastic bottles, which makes it an environmentally friendly choice. Unfortunately, it is prone to crushing – sometimes within five years. Cost is generally $10 to $15 per square yard. Triexta is a new and appealing subclass of polyester that is rapidly – and deservedly – gaining market share. It’s as durable as nylon, yet softer and extremely stain resistant. Triexta fiber is produced only by DuPont under the carpeting brand names Sorona from DuPont and SmartStrand from Mohawk. Prices run $18 to $30 per square yard. Wool carpeting is extremely dense and luxurious to the touch. It has a beautiful soft and natural appearance and takes dyes very well, so home owners are likely to find precisely the color they want. It also is strong and relatively stain-resistant. But its high cost, $40 to $100 per square yard, has reduced wool carpeting to a minor niche product. Decision 2: Style. When carpeting is made, the yarn is in loops. If those loops are cut, exposing yarn ends, the result is “cut pile” carpeting. If they’re not cut, the result is a “loop” carpet. 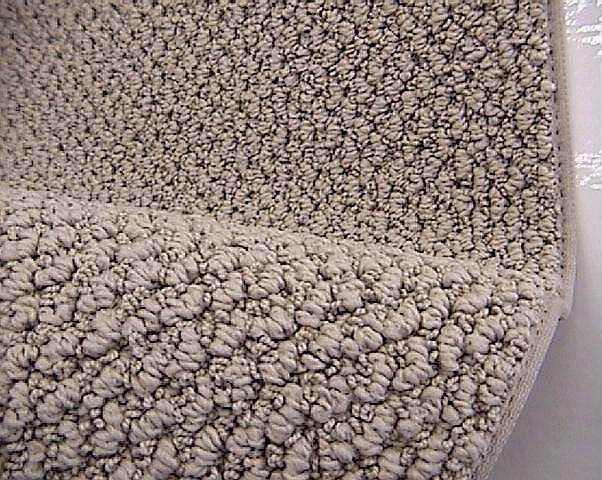 In general, cut-pile looks and feels softer, while loop carpeting is more durable. Decision 3: Quality. Once you have settled on a fiber and style, compare the available options side by side. Assuming the fiber and style are the same, the carpet that is denser is likely to be more durable. Push the carpeting fibers down with your palm, and see which brands or versions feel thicker. Push your thumb down between the fibers, and compare the size of the bald spot exposed. The smaller the bald spot, the better the carpet. Decision 4: Installation and padding. Order a carpet pad with at least a six-pound cushion – that is, a padding that weighs at least six pounds per cubic foot. Order an eight-pound cushion if you’re installing low-pile carpet. A quality carpet pad helps carpet look and feel good longer. Installation and padding typically add $4 to $10 per square yard to the cost of carpeting. When installers arrive, confirm that the carpeting and carpet pad are what you ordered. Disreputable suppliers occasionally try to substitute a lesser product. The padding weight should be indicated either on the padding itself or on labels attached to the rolls. Make sure installers use new tack strips around the room’s perimeter. Not replacing existing tack strips suggests that the installer is cutting corners. After the removal of the old carpet, the old tack strip might have bent tacks or be missing tacks. Check the condition of the sub-floor when the old carpeting comes out. Carpeting can hide problems such as dry rot or mold. If so, reschedule the carpet installation and have these issues dealt with first.